At The Credit Junction, we know that we are only as strong as those around us. As a result, we are proud to partner with a wide variety of local, regional, and national organizations, businesses and financial partners. Read about some of our partners, below! We're proud to be a member of these excellent organizations. For 100 years, the U.S. Chamber of Commerce has driven the pro-business agenda in Washington. The Chamber is the world’s largest business organization representing the interests of more than 3 million businesses of all sizes, sectors, and regions. Their members range from mom-and-pop shops and local chambers to leading industry associations and large corporations. They advocate for pro-business policies that create jobs and grow the economy. The first supply management institute in the world, ISM is the largest global organization dedicated to advancing the practice of procurement and supply management. ISM is considered to be a highly influential and respected association, providing industry professionals and organizations with extensive education, research, publications and highly regarded certifications. The Commercial Finance Association (CFA) is the international trade association dedicated to the asset-based lending industry. Founded in 1944, the CFA has nearly 300 member companies across 16 chapters. Some of the objectives of the CFA include: providing a forum for the consideration of inter- and intra-industry ideas and opportunities, and furnishing the general public with information on the function and significance of the industry within the credit structure of the country. Founded in 1963, the Council of Supply Chain Management Professionals (CSCMP) is the preeminent worldwide professional association dedicated to the advancement and dissemination of research and knowledge on supply chain management. CSCMP members are the leading practitioners and authorities in the fields of logistics and supply chain management. The National Defense Industrial Association (NDIA) is America’s leading Defense Industry association promoting national security. The NDIA provides a legal and ethical forum for the exchange of information between Industry and Government on National Security issues. Its members foster the development of the most innovative and superior equipment, training and support for our warfighters and first responders through its divisions, local chapters, affiliated associations and events. 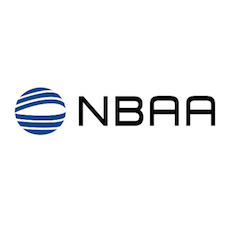 Founded in 1947 and based in Washington, DC, the National Business Aviation Association (NBAA) is the leading organization for companies that rely on general aviation aircraft to help make their businesses more efficient, productive and successful. The association represents more than 11,000 companies and provides more than 100 products and services to the business aviation community, including the NBAA Business Aviation Convention & Exhibition, the world's largest civil aviation trade show. Their main missions is to foster an environment that allows business aviation to thrive in the United States and around the world. NAWBO provides a platform for women business owners to come together as one voice that translates into a formidable economic force and an effective agent for change in the business environment. Founded in 1975, NAWBO has continued to represent the issues and concerns of small and women-owned businesses at the national and state levels. Through Congressional testimony, public policy conferences and member education, NAWBO has been at the forefront of advocacy on behalf of women business owners and the issues that impact their companies. The Small Business & Entrepreneurship Council (SBE Council) is an influential voice and advocate for entrepreneurs and small business owners. The SBE Council focuses on advancing policies and initiatives that encourage entrepreneurship and small business growth. When there is something of importance happening in the U.S. or across the globe that affects small business owners and entrepreneurs, the SBE Council is there as a unified voice and advocate for the cause. 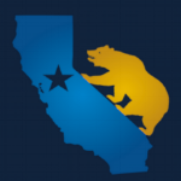 Small Business California (SB-Cal) is a proactive, non-partisan business advocacy organization whose only agenda is the well being of California small businesses. SB-Cal is responsive to the needs of California small business owners and works for all California small businesses to create a better business environment. Rubicon Global is the world’s leading provider of sustainable waste management and recycling solutions. Their goal is to disrupt the waste and recycling industry and create less expensive, more sustainable solutions. Their asset-light, technology-enabled platform connects customers with an independent network of haulers that bid on their business. Rubicon Global reduces waste and recycling costs for its customers, empowers small businesses, and increases landfill diversion. PartsBase is the world leader in internet-based part locator services. Their online community includes more than 7,500 companies and 30,000 end-users in the aviation, defense and aerospace industries. Their service provides the perfect opportunity for suppliers, distributors and service providers to reach the most targeted audience in the industry. With more than 10,000 customer log-ins daily and more than 34,000 part searches per day, PartsBase is the largest aviation online website community in the world. Since 1999, Tempus has provided corporate clients with the best foreign exchange and international payment solutions in the industry. Whether paying invoices in foreign currency, funding foreign operations, or receiving foreign funds, Tempus helps companies manage their currency needs. They focus on protecting their clients' profits by keeping them abreast of current activity in the global markets and by reducing exchange rate exposure with a full range of products and services.